Latest Version: v1.3.0 (2019-04-16) An enhancement hack of Pokémon Platinum. Summary Pokémon Renegade Platinum is an enhancement hack of Pokémon Platinum Version, similar to my other hacks such as Sacred Gold & Storm Silver and Blaze Black & Volt White. In a nutshell, this hack generally keeps the same story flow as the original Pokémon Platinum but adds in a significant number of gameplay differences, including but not limited to access to all 493 Pokémon in the game, revamped Trainers including tougher boss fights, lots of (optional) changes to weaker Pokémon to make them easier to use, the removal of trade only evolutions and a number of other quality of life changes. The specifics of what parts have been changed are explained in the paragraphs below. Features All 493 Pokémon Available All Pokémon that were originally in Platinum, from Bulbasaur to Arceus, are available to obtain within the game. The wild Pokémon for every single area have been modified extensively, now including species not ordinarily found in the Sinnoh region. It's possible to catch or obtain the majority of Pokémon before facing the Elite Four for the first time, meaning you can construct almost any team you want. In the cases where a Pokémon being in the wild would not be thematically appropriate - for example, starter Pokémon or legendaries - new events have been added to the game to make obtaining these Pokémon feel as unique as they normally would. The details for where to get each Pokémon can be found between the wild Pokémon and special events documents. Additionally, the correct locations for wild Pokémon are also shown in the Pokédex. (Big thanks to Mikelan98 for that feature!) Revamped Trainer Battles The Pokémon rosters of every Trainer in the game has been edited, now including Pokémon from the National Dex. Trainer levels have also been modified to fit the new level curve, which is now higher than before due to bigger Pokémon rosters and greater use of evolved Pokémon awarding larger amounts of EXP. Trainers can now expect their Pokémon to reach the 70s by the Elite Four, instead of the 50s that was the case in the original Platinum. Additionally, all Trainers use the AI that is normally only used by boss Trainers such as the Elite Four. The details for what each Trainer has can be seen in the Trainer Pokemon document. Please note that this feature is purely for the normal Trainer battles in the game; the Battle Frontier has not been changed. Harder Boss Battles Important battles such as the rival, Gym Leaders, Galactic Admins or the Elite Four have had their difficulty increased further than normal Trainers. Gym Leaders and Elite Four members now always use 6 Pokémon instead of the 3-5 from before, and all of these battles have them using high IV Pokémon with custom movesets, held items, and sometimes ideal natures. The first round Elite Four and the Champion also have the unique property of randomly picking from four teams to battle you with, making it impossible to know in advance what their lead Pokémon will be. They shouldn't be literally impossible to beat, but are definitely a much greater challenge than the original version. You can expect some of your Pokémon to faint in battle unless you bring some strategies of your own to the table. However, they do retain their aesthetics from the original, including their type focuses and signature Pokémon. Their signature Pokémon are also now equipped with a Poké Ball seal for some extra flair! The details for all of these battles can be seen in the Trainer Pokémon file in the documentation. Pokémon Modifications The Fairy-type from the Gen 6 games and later has been added in Renegade Platinum, replacing what was previously the ??? type. All Pokémon have had their typing, base stats and wild held items updated to match what they are as of Ultra Sun and Ultra Moon, meaning you can now use Pokémon such as Clefairy and Ralts with their Fairy-type as in the later games. Pelipper and Torkoal also gain their new Drizzle and Drought abilities from Gen 7, and a lot of Pokémon gain their Hidden Ability from Gen 5 and later as a secondary standard ability in this hack. All Pokémon have also had their level up move sets completely revamped. Pokémon will now learn their normal level up moves but now also learn other moves that enable them to be the best they can be, including TM moves, Egg moves and moves they only have access to in previous or later generations, up to and including Let's Go, Pikachu! and Let's Go, Eevee! Some Pokémon also get the chance to learn entirely new moves that they never could before, such as Megahorn for Pinsir and Earth Power for Typhlosion. The levels at which they learn the moves have been structured so that you can reliably access them just by naturally playing the game (i.e. you won't get moves at extremely high levels). Some Pokémon have also had their TM/HM compatibility modified, in some cases adding in moves that they could ordinarily only learn in later generations (such as Drain Punch for Toxicroak), and other cases granting them access to entirely moves by TM (e.g. Drain Punch for Dusknoir). Additionally, several TMs have been replaced with new moves, including Scald, Wild Charge, Bug Buzz, Hyper Voice, Dazzling Gleam and Hurricane. Pokémon TM compatibility has been adjusted to match their compatibility in later generations, or in the case of the newcomers Bug Buzz and Hurricane, my best generous guess has been made as to what might be able to learn them. There's also been much greater compatibility added for Fly, meaning you don't necessarily almost always need a Flying-type Pokémon to get anywhere conveniently. In addition to this, there are also a number of custom changes to make certain Pokémon unique and/or easier to use. Many Pokémon who are a bit weaker have received buffs to their base stats, meaning previously weak Pokémon like Butterfree and Ledian can now actually put up a fighting chance. Some Pokémon with decent stats in bad areas have had their stats reshuffled, such as Glaceon who is now faster but less defensive. Some Pokémon have also been given new types to play with, such as the now Bug and Dragon-type Flygon, or the Ghost and Fairy-type Mismagius. Some Pokémon also gain new abilities that they can't ordinarily get, such as Weavile gaining the Technician ability. If you don't like the sort of changes that are listed in that last paragraph, there is an additional patch you can use called "ClassicVersion.xdelta" which will erase these changes from the game, leaving them the same as they would be as of Ultra Sun and Ultra Moon. The details for these modifications can be found in the Pokemon Changes and Type Changes files in the documentation. Quality of Life Changes A number of quality of life changes have been made to the game. All Pokémon names are now decapitalised everywhere outside of standard NPC dialogue. This means in battle, the Pokémon status screen etcetera, all names show up as they would in Gen V and later. Pokémon natures are now displayed in the stat screen with their stat boost and reduction shown next to them (as stat highlights were not a thing in Platinum). For example, where it previously said "Brave nature. ", you should now see "Brave (+Atk, -Spe)". All Pokémon have their egg cycles reduced to 0, meaning they hatch very quickly. The Poké Radar is now given to you near the beginning of the game. The Bicycle is actually given to you at the start of the game. The Pokétch, still given to you near the start, now includes all 25 Pokétch apps right off the bat. Additionally, the three coupon miniquest has been removed. The Move Relearner and the Move Tutors that previously required Heart Scales and Shards respectively no longer require payment for their services; you can just talk to them and they'll do their job for free. Additionally, all three Move Tutors now sit in the same house on the southern part of Route 212. The Move Deleter is now available as early as Oreburgh City, meaning you no longer need to wait until Canalave City to delete any HMs. When fishing with a rod, an encounter is now guaranteed, as opposed to previously where it was possible to 'not get a bite'. Honey trees have also been given a total overhaul and now give you a Pokémon instantly instead of you having to wait for several hours. The encounters for honey trees are different from before as they are now script driven - you can view what is on each tree in the Wild Pokémon document. TMs are now effectively infinite; picking up or obtaining a TM will reward you with 99 copies of that TM, and these can also be refreshed by talking to a new NPC at the Pokémon League. These TMs cannot be bought at any stores and also cannot be sold. Most TM locations have been reshuffled and can be seen in the Item Locations document. You will only find TMs from either picking them up off the ground or receiving them from NPCs. (It unfortunately proved impossible to make the TMs actually infinite, hence this method instead). The need to use HMs has been removed where possible. Surf, Waterfall and Rock Climb are still necessary, but Cut trees, Strength rocks (with one exception in the Distortion World), Rock Smash rocks and foggy weather have been completely removed from the game, meaning your Pokémon no longer need to learn these moves to progress. Where roadblocks are necessary, NPCs have replaced them and will disappear when necessary. This does mean there are now some cases where you can access areas much earlier than you were previously able to do. Additionally, any darkness on the map has also been removed, meaning Flash is also no longer ever necessary. The Pokémon sprites are those normally used in Heart Gold and Soul Silver, which for the most part look better than the Platinum equivalents. There are a couple exceptions to this where I've left the front sprite as the Platinum one for Pokémon such as Blastoise, Vaporeon, Jolteon, Tyranitar and Togekiss. Additionally, the mini sprites used in the Pokémon menu and the Boxes are now the Gen 6 icons (albeit some with some slightly off colours), with thanks to MeroMero for distributing a premade file containing them. Most of these changes are not documented anywhere, but you may notice them as you play through the game. Increased Shiny Rate By default, Renegade Platinum features a new shiny rate of 1/512, meaning while shiny Pokémon are still reasonably rare, it's significantly more likely that you'll come across one while playing the game. This shiny rate does not affect the Poké Radar's ability to generate shiny patches of grass, but does otherwise affect every other method of Pokémon encounter (eggs, gifts, wild etc). If this feature is undesirable, there are additional patches included in the download that can make the shiny rate 1/4096 (equal to Gen 6 and above) or 1/8192 (equal to Platinum's normal rate) instead. Increased Gameplay Speed The download includes a "SpeedUpPatch" which can be applied to Renegade Platinum which adds a few things to speed up the normally sluggish gameplay in Platinum. It does three things: all text will appear instantly, HP and EXP bars will no longer animate between positions and the 30 FPS cap of the game has been removed, allowing it to run up to a maximum of 60 FPS depending on the hardware capability. These changes together mean battles can go significantly faster. Please note that these speed up features are not included in the base Renegade Platinum and need to be applied via one of the additional patches supplied in the download. New Events and NPCs A number of small events have been added to the game, including an additional event with Team Galactic, small events to obtain starters and legendaries, more in-depth events to get mythical Pokémon such as Mew, Celebi and Arceus and more. Some new events have also been added that change the story flow slightly. For example, upon arriving at Eterna City, you will find that Gardenia isn't present at her gym. The player is instead required to make a short detour to Route 216 - which was previously inaccessible until gaining six badges - giving them the chance to pick up some Ice-type Pokémon much earlier than before. Another example is that the player now visits Pal Park between going to Celestic Town and Canalave City. You also now battle Lucas or Dawn a few times as you go about your adventure! In addition, there are also some battles with each of the stat trainers (Cheryl, Mira etc), related to their individual events. There are lots of small events that allow you to obtain Pokémon. For example, you can get an Eevee early in the game that is being taken care of by the player's mother. You can get a Lapras from an old lady in Pastoria City who has a small story to tell, and you can get a Beldum by talking to Steven, who is now taking up residence in Oreburgh City. And much more! There are also a number of additional NPCs that will do things such as sell you evolution items, give you items unique to certain Pokémon such as the Stick, and a whole new training NPC in Solaceon Town's Pokémon Daycare who will help you train your Pokémon in levels or EVs, making any necessary grinding a lot faster. The details for some of these modifications can be found in the NPC Changes and Special Events files in the documentation. Evolution Modifications Pokémon that previously had to be traded to evolve can now evolve within the game itself. Those that evolve by trade and did not require an item now simply evolve at Level 36. Those that did require an item can now evolve by having the item used on them, similar to an evolution stone. Additionally, a number of Pokémon have had their evolution levels lowered to make them easier to use. 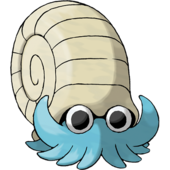 For example, Omanyte and Kabuto, who previously wouldn't evolve until a high level 40, now evolve at a much easier Level 30, allowing them to keep up with the other Pokémon in your teams. Finally, some evolution methods were changed to be less restrictive. Pokémon who could evolve from happiness at specific times of the day now just need to be happy, and Eevee, who previously required happiness and location evolutions, now uses standard evolutionary stones for all of its evolutions. The details for these modifications can be found in the Evolution Changes file in the documentation. Move Modifications A number of useless or rarely seen moves have been replaced with moves from later generations. Examples include Draining Kiss, Scald, Icicle Crash, Drill Run, Moonblast, Dazzling Gleam, Disarming Voice, Bulldoze, Play Rough, Hurricane and Wild Charge. New moves borrow animations from other moves that are similar (e.g. Drill Run uses Horn Drill's animation), or have animations that are slightly modified from a different move (e.g. Moonblast uses Mist Ball with a moon background). These new moves can be learnt by level up or in some cases, TM. In addition to this, a number of moves have had their stats adjusted slightly. For example, Shadow Punch and Shadow Claw are now a much stronger 80 base power. HMs in particular have been boosted to make them more attractive as battling moves, such as Fly now having 100% accuracy and Rock Climb being a Rock-type move. The details for these modifications can be found in the Move Changes file in the documentation. Item Modifications The locations of many items in the game have been shuffled around, allowing the player better access to them throughout the game. For example, the various evolution items are now found much earlier in the game, and can also be purchased from either the Veilstone Department Store, the Veilstone Game Corner or from an NPC in Snowpoint City. Locations for most items are shown in the Item Changes document. You'll be able to find items such as the EXP Share and the Soothe Bell much earlier than previously. TMs are now effectively infinite, as explained in the quality of life changes. Poké Balls, Great Balls and Ultra Balls have also been made cheaper to assist the player in what will likely end up being a greater amount of Pokémon caught than normal. A few previously unused items are now used or replaced with new Key Items as well, relevant to new events within the game. Additionally, the previously event only Key Items such as the Secret Key, Member's Card, Gracidea and Azure Flute can now be obtained and their relevant events unlocked within the normal gameplay. The details for these modifications can be found in the Item Changes file in the documentation. Trade Modifications The in-game trades found in Platinum have been adjusted to give you new Pokémon that are otherwise hard to find at the stage of the game the trade is at. For example, you can now trade for a Spheal in Oreburgh City. In addition to this, the obedience check that makes traded Pokémon not listen to you has been disabled, meaning you can use these traded Pokémon with no worries. The details for these modifications can be found in the Trade Changes file in the documentation. Documentation As you may have seen at the end of each section, there is documentation available in the form of text files for mostly every change that has been made in the game. The files are included in the download for the hack, but can also be viewed online at this link: https://pastebin.com/u/RenegadePlatinum. Screenshots Please open the spoiler below to see a number of screenshots of gameplay from Renegade Platinum. Tools Used BTX Editor: Made by KazoWAR, this tool was helpful for getting some new overworlds into the game, such as Steven, a few of the legendaries and more. crystaltile2: An invaluable tool for importing/exporting/locating particular files from NARCs, as well as being very helpful when implementing the Fairy-type. Hex Workshop: Helpful for those times where I needed to do things via hex editing. JackHack Tools: A number of tools from his site were used, including a Pokémon Editor, Attack Editor and Trade Editor. kiwiDS: Helpful for some cases where I needed to get the individual files for a NARC. Lua Scripts: A Lua script by Kaphotics that displayed the X/Y coordinate of the player on the map, allowing me to position overworlds correctly. PKHeX: While not used for actual development, it came in useful a few times to figure out how things worked. PokeDSPic Platinum: Used in a few cases where sprites had to be modified from their standard HG/SS versions. PPRE: Used primarily for scripting and placing overworlds on the map, as well as some text editing. Both 0.14b and 0.12 were used to get around the issues related to freezes caused when saving the script in 0.14b. SDSME: Used for editing text that wasn't tied to a map, as well as configuring the "weather" for places like Twinleaf Town and Wayward Cave. Tinke: Extremely helpful for some graphical changes, including the Steven trainer sprite and adding the Renegade Platinum logo to the title screen. I also used some tools that I made on my own to deal with the wild encounters and level up moves, as the existing tools had usability issues or bugs preventing me from doing what I wanted. These two tools aren't currently publicly available but I can hand them over on request, they're just a bit shoddy! Credits Alpha, SCV: The creators of PPRE, which was incredibly useful. JackHack96: I used a number of his tools when building the hack. JimB16: For his Platinum disassembly on GitHub. While it wasn't used to actually develop with, it came in useful quite a few times to locate certain bits of data (including the solution for dealing with the traded Pokémon obedience issue). Kaphotics: A very talented hacker in the data mining sense, Kaphotics' wealth of NDS knowledge helped me to avoid one or two potential issues as I was building the game; his advice was incredibly helpful. The Lua scripts for the player's position and the Instant Text code that is implemented into the "SpeedUpPatch" were both made by him, too. KazoWAR: For his BTX editor tool as well as his YouTube tutorial on adding Trainer sprites to Pt/HG/SS via Tinke. Markitus95: The creator of SDSME, which was also useful. MeroMero: Another extremely talented NDS hacker, MeroMero posted a lot of tutorials on Project Pokémon that were directly relevant to things I wanted to do, such as changing the shiny rate or finding out how to adjust the position of Pokémon sprites in battle. His tutorial for adding Fairy-type to HG/SS was also what I adapted to get it working in Platinum. Finally, the Gen 6 mini Pokémon icons were also completely thanks to him (as seen here: https://projectpokemon.org/home/forums/topic/36081-gen-6-pokémon-icons-for-gen-4-and-5/). mikelan98: An extremely talented NDS hacker, he produced lots of helpful tutorials for NDS hacking, and it was also him who provided files allowing me to show Pokémon locations in the Pokédex and for the Fairy-type icon to display correctly in the Pokédex. Both of these would have been impossible without him! 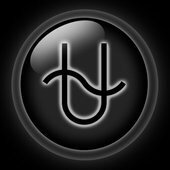 sylphate: A talented graphics artist who made the logo for Renegade Platinum. He's also the artist for the logo for my Rising Ruby and Sinking Sapphire hacks! I'd also like to thank my fanbase in general, who are always very encouraging and excitable. It wouldn't be half as fun to make these without you guys around! Known Bugs Open the spoiler if you want to see any known bugs for the game. All known bugs are inconsequential and shouldn't cause any real problems when playing, but a lot are rather difficult to fix. Download The download for Renegade Platinum's patches can be found at my Google Drive at this link: https://t.co/pljSVD0yyG. The RenegadePlatinumV130.zip contains a few things. There's documentation text files, a patch to change a Platinum ROM into a Renegade Platinum ROM, and then some additional patches which can be applied to a Renegade Platinum ROM which can give you the classic version (less Pokémon changes), increase speed and/or change the shiny rate. It also includes a recommended patcher called Delta Patcher Lite (which may only be usable on Windows - Mac users can try MultiPatch), a changelog for the game and some instructions on how to patch. There's also Readme files in each patch folder to further explain what each of the different files do and what you need to do to get it working correctly. If you get into any problems, make sure you've read the Readme files first. Generally, you will need to get a Platinum ROM (which you'll have to obtain by yourself), then use the correct patch for that as there's a v1 and a v1.1 of Platinum. After that, you can then apply additional patches to it with Delta Patcher Lite, but you may need to uncheck the "checksum validation" when using additional patches to be able to apply more than two of them to your game. The changelog and the documents are also available at that link if you wish to see them online. Contact If you wish to contact me for any reason, the fastest way is to shoot me a message on my Twitter: @Drayano60. I wasn't sure where to post this, but I am in need of a Pokemon Platinum (J) IV check code. I have looked all over the site and all over the net and couldn't find anything. It was surprising that there wasn't one, seeing how long the game has been out ,and how useful the code is. Help is appreciated. Thanks. I have the worst luck ever with this emulator. Nothing I do seems to work. It runs slow, it doesn't save, it crashes, the speed up button, etc, doesn't work. I'm trying to make ribbon master Pokemon and I don't want to have to constantly rely on other people to help me get the wifi ribbon. Using a save editor, even as a last resort feels dirty. I wanna do this legit. Would anybody be able to set up the emulator and settings and send it to me in a zipped file. That I'd be able to un-pack and set up with minimal effort? I found a complete Platinum save online. As soon as I've bred/caught my Pokemon, I can easily use a save editor to inject them into the save and then use them as needed. I have little to no patience for BS as it is and all this program has done is waste hours of my time. If anybody would be willing to help, I'd be very grateful. I could try to help you out on your ribbon quest as well. I have a lot of gen 3 stuff that will make it a breeze and I could send you my gen 4 competitive Pokemon once I've bred/caught them. I am finally done, this patch contains every battle theme in the game. This patch changes the battle theme played in trainer battles. List of themes: Mute Rival Theme Wild Theme Trainer Theme (unpatch) Gym Theme Grunt Theme Commander Theme Boss Theme Giratina Theme Uixe/Azelf/Mesprit Theme Elite 4 Theme Champion Theme Dialga/Palkia Theme Ledgendary Theme Regi Theme Tycoon Theme Arceus Theme You can repatch the same ROM over and over to change theme. The Patch works on wifi. It also contains AR codes and various flash cart cheat files with the codes already added. These codes work like the patch, but the AR codes DO NOT work on wifi. You may need WinRAR to uncompress the the .rar file that this patch is compressed in. WinRAR: http://www.rarlab.com/rar/wrar380.exe Music Patch: http://gbatemp.net/index.php?download=5464 Enjoy! Right now I am editing Pokemon Platinum, and have started changing what wild pokemon appear in the game. I have however noticed that whenever I enter the cycling road (Route 206), the game freezes and I have to reload. This happens even if I revert all the changes I have made. Does anyone know a method to fix this? I saw that some other people had the same problem and were able to fix it, but did not post what they did to do so. I also saw that they found the same issue in Mt. Coronet and Spear Pillar, so if anyone knows how to fix those too that would be great. Thanks for your help. 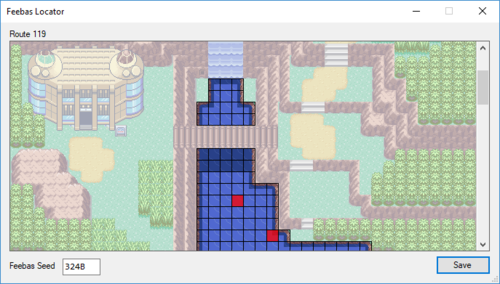 I've been trying to make a mod of Pokemon Platinum (US) and thought I would use the PPRE 2.2.0 editor to make changes. However, when I try to save the project it only creates .pprj-files, and when I try to choose Export ROM, nothing happens. Creating a patch doesn't work either. So what do I have to do to save it as a new ROM (.nds) file? Thanks for your help. So for a while, I've been trying to find ways to get the Member's Card and Oak's Letter Wonder Cards into my actual Platinum cartridge. I've looked into PokeGen and PokeSav and they seem to be my best bets, but from what I know and researched, the only way to put them on a physical cartridge is by using an Action Replay code which is way too long for my Action Replay DSi (I have tried to type the entire code in and it doesn't fit). I really want to get these Wonder Cards in my game but I'm becoming unsure if the methods given and the way to put them in games are only for emulated version. If that's not true, then what is the best way to put Wonder Cards onto my Platinum cart? If I'm doing something wrong or if I have the wrong AR version, then what do I do from there? Thanks. So I'm playing Pokemon Platinum in my emulator, the usual "completing the Pokedex" and I decided to clean up my box and place the Pokemon in their "proper boxes". Then I released a Shiny-Chained Scyther. I just realized what I did... I know I'm in an emulator and I can cheat all that but what the...?! While playing the Sol Platinum hack, I discovered a few major bugs that ruined an otherwise well-done game: The Seel/Dewgong line had a movepool glitch at level 65; the player gets stuck in an infinite loop of attempts to learn glitch moves. Legendaries from Generations I-III appeared multiple times; in my first game, I caught Celebi and the Lati@s twins three times each. Not just battled them, but caught them... Since the original hacker is no longer active, I've thought of trying to fix those two bugs myself. How easy would this be for an absolute beginner with an editing tool like PPRE? Hi Can somenone please make a action replay code for the movie arceus for the japanese pokemon platinum version???????????? Hi guys, does anyone have the map co-ords for the PAL version of Platinum for the Distortion World portal in Turnback Cave (the room where Giratina was in D/P)? I really REALLY hate Turnback Cave and I just wanna get back to the DW and get the Platinum Orb or w/e it is! Thanks in advance. PS. Yes I know I could just add the item but I want to return to the DW!